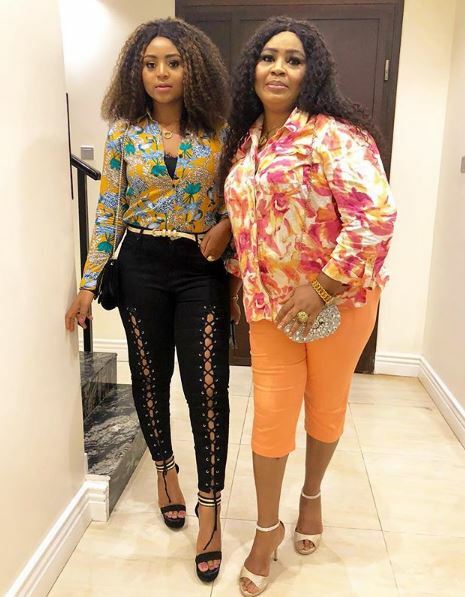 Nollywood sweet sixteen, Regina Daniels has just bought her mom a House. She posted this on her Instagram page which she captioned. MAMA U THANKING HER INSTEAD OF U TO QUERY HER WHERE SHE GOT SUCH MONEY FROM U THINK IS FROM NOLLYWOOD MOVIE? THIS 14YEARS OLD GIRL AGAIN? At !6? When I saw her in private jet the other day, I knew she has joined the Stephenie Okereke club and cannot be redeemed....I mean she's gone . Well, its her life and am not judging her. Point of correction Stephnie O..she is a mother and Married womana and Role model please..
Maybe she is married to the son, if at all this man has one.